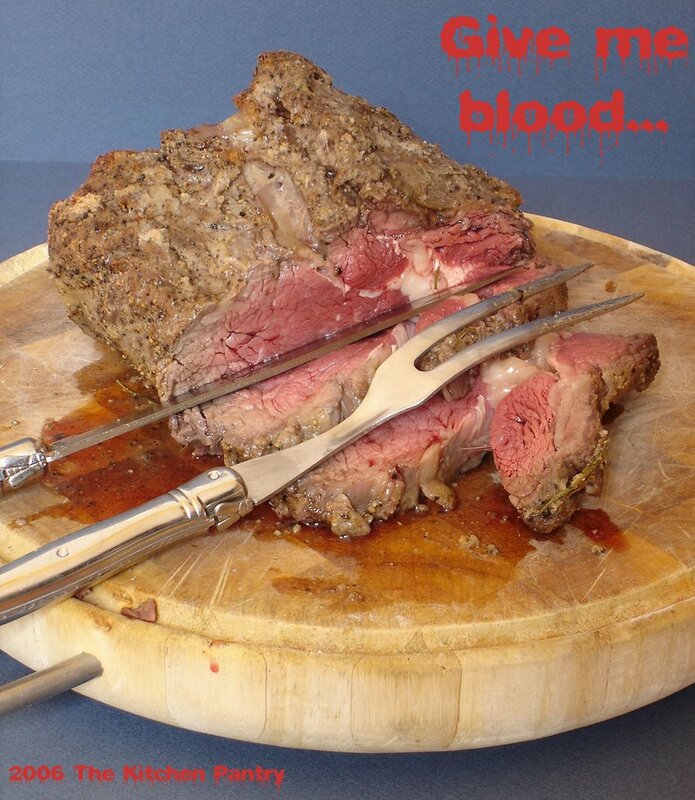 Roast beef is one of my mother’s all time favourite (and, honestly, one of the few thing she can cook… to perfection!). She normally makes it in summer, cutting the meat very thinly, and serving it cold, but in winter I prefer it hot, thick and BLOOOOODY!!! It is so simple to make it good! Take out the meat form the fridge at least one hour before to cook it. 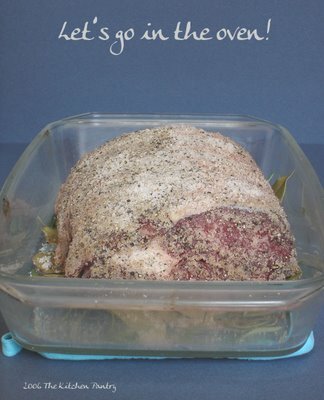 Preheat the oven at 220° C.
Roll the meat in salt and pepper: you need to coat it evenly. 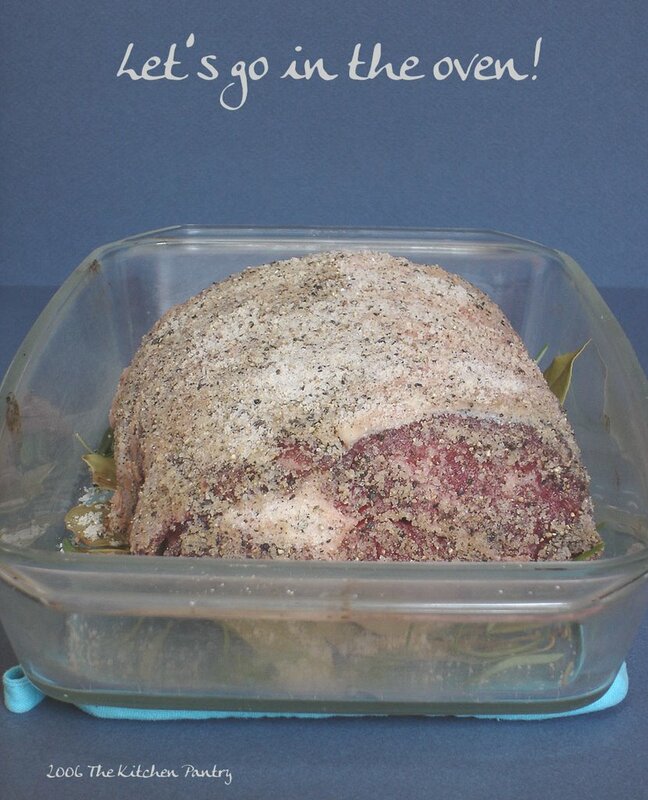 Lay many bay leaves and few rosemary branches on the bottom of a ovenproof dish. Lay the meat over the herbs bed. Cook it for 45 minutes if you wanted rare, for more if you like your beef medium rare or well done (honestly, what’s the point if you don’t get it rare???). Let it stand for 10 minutes before to cut it. P.S. I would like to point out our magnificent Laguiole set! It cuts perfectly, as all Laguiole! Che fatica leggerti con il mio “scarso inglese”! Comunque, ne vale la pena.